British actor Ben Whishaw had a great night at the Golden Globes. He scored a win for his supporting role in A Very English Scandal, beating out Edgar Ramirez, Kieran Culkin, and Hollywood legends Alan Arking and Henry Winkler. I won't lie, I was surprised. 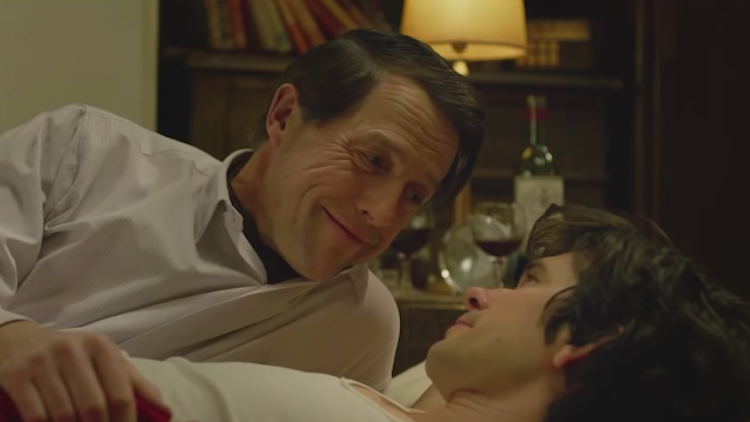 Whishaw, who also stars in Mary Poppins Returns, portrayed Norman Josiffe, a model and former boyfriend of PM Jeremy Thorpe (played by Hugh Grant) in A Very English Scandal. The series follows the two as their affair unfolds throughout the 1970s after Josiffe outs Thorpe. Josiffe put his own life on the line to tell his truth, received backlash in the form of violent threats and hate mail, and ultimately cost Thorpe his political career. While accepting his award, Whishaw, 38, took a moment to thank those who helped the series come to life, including Grant, writer Russel Davies (who also is gay and created the UK version of Queer as Folk) and director Stephen Frears. He saved the best for last, though, shining a light on the real Norman Josiffe for “taking on the establishment with courage and defiance” to inspire others and for being a "queer icon" in his eyes. Whishaw also dedicated the award to Josiffe, who now lives in semi-anonymity in the UK.